The following is a short list of black metal releases (with a commentary on each) that would general fall off the edge of the usual stylistic lines that Death Metal Underground follows when looking at genre releases. 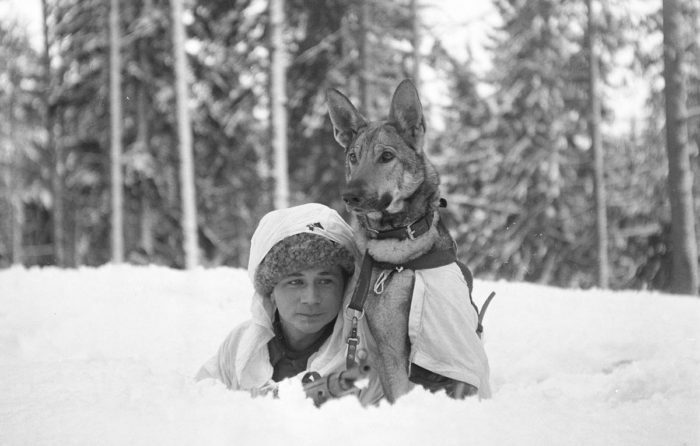 These are all exceptional and form part of what could, in hindsight, be described as the lone wolves of an established and matured black metal genre — generally unnoticed or passed by without receiving substantial attention among the waves of excess of the 21st century; treasures hidden in plain sight for those with a developed sense beyond mere form. Article by David Rosales. This review is David’s Spanish translation of his earlier review of the album. Cuando decimos que el metal llegó a su cúspide en 1994, después de una breve época dorada, y que lo que siguió no fue sino un declive clarísimo, esto no significa que no hubo absolutamente nada bueno. Por definición, lo que le sigue a una cúspide es un declive – aunque la decadencia sólo sea aparente debido a la perspectiva. Aún más importante es aclarar que cuando hablamos de esta manera, nos estamos refiriendo a un promedio a través del género, y no señalando a nadie específicamente. Después de todo, tenemos un Summoning publicando su clásico de clásicos en 1996 y más música grandiosa a finales del siglo. En Centroamérica, siempre un paso (o más bien diez o treinta pasos) atrás del resto del mundo como resultado de procesos históricos que podemos identificar, lo poco que su reducida población, recursos y cultura permitieron desarrollar al metal local, floreció entre los últimos cinco años del siglo pasado. After a little over a decade had elapsed since Abyssum’s debut, the only remaining and the leading voice of the project, Rex Ebvleb, released a full-length album titled Poizon of god. This 2008 offering was both a step forward with a nod to the old material in a conscious effort to be both consistent in the style of the project (this artist has several projects with very distinct voices and writing procedures and inspirations). This album also sees the enlisting of drummer Akherra to the project as a permanent member of the band. Following in the steps of the methodology of Thy Call, this new comeback album follows the general songwriting approach that does not focus on what we would consider the “metal sections”, and rather uses the distorted guitars and drums as one more color in a palette for black ambient music. Overall, the underlying methodology does not diverge greatly from the debut album but there is a greater variety of pigmentation and expression, a more careful attention to detail, stronger sense of movement and a comparatively darker intent in its character. 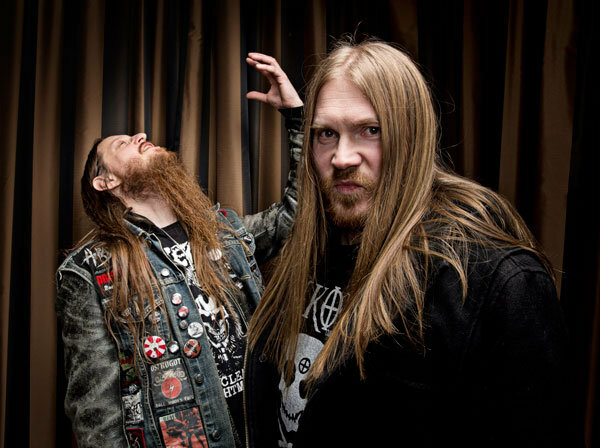 Fenriz as the archetypal metal drummer is perhaps a puzzle to most, perhaps considering his status to be a mere by-produt of Darkthrone becoming an icon. The status of most worthy personalities of metal tends to be double sided in that way. There is the respect for what came before, usually a blind fanhood of what is not understood and is only explainable in terms of some kind of historical relevance and then there is the underground ackowledgement of the musical talents of the artist in question that stand the test of time. The difference in perception arises from the fact that these artists’ greatest merit lies in subtletly. The Subtlety of where to use a specific technique, however rudimentary, so that the music is better enhanced, completed or open to being built on (say the drums got written before everything else). In drumming in particular, the lack of appreciation for proper arrangement has been greater than in the vocal or guitar departments, perhaps because the only antecedents in this type of percussion come from rock and jazz. In rock, the drums are merely a time keeper and groove-adder. In Jazz, it is typical that they serve that function plus, like all the other instruments, allow the musician to keep masturbating on the instrument with little thought to how this adds to the music as concept and not self-referential indulgence. But in all fairness, there is an old school of jazz in which the music is kept together more neatly and in which the drums play a much more constructive role. In metal, the drums are not only a support instrument but should blend in into a whole. In fact, ideally, the guitars should be doing this too. The point is so subtle and hard to grasp that even the musicians that acknowledge it have a very hard time translating it into practice. As with all great things coming from a simple concept, it is easier said than done. The most prudent drummers and bands limit the percussion to a function (that in metal is more prominent and important than in rock) rather than the spotlight, and this is at least a first step. It was the increasing distance between all rock-like perspective in music that made metal approach a more purified and important integration of drums into its frameworks. Works such as Hvis Lyst Tar Oss or Transilvanian Hunger are inconceivable without percussion. That is not to say that the rest of the elements are not good, but they are incomplete without percussion. And so are their corresponding drum patterns without them. Metal had to go back to an extreme minimalism, stripping down every layer to realize the importance of every little element. This Burzum album belongs to end of black metal as an era, but I will place it here even if it appears counter-chronological. 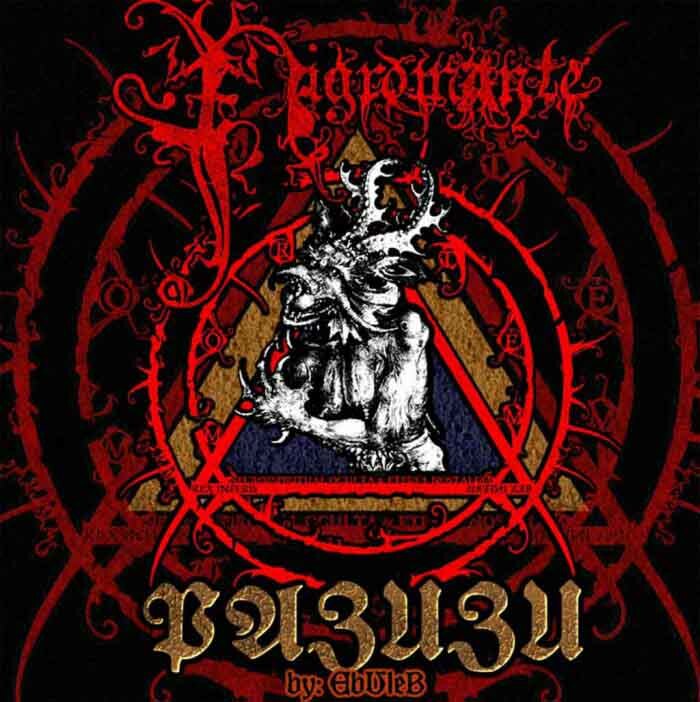 After an initial dive into this primitivism driven (Celtic Frost, Bathory) by gut instinct of the most authentic kind, death metal proper developed and quickly escalated in its use of technical arrangements that went overboard in the sense that they were unnecessary for the point of the music itself, though not necessarily bad. Technicality was set besides essence and communication in importance. The formal music tendencies that are so prominent in classical music started to surface in metal. A great overlooked exception to this rule was the work of Adrian Erlandsson within the framework of arrangements and indications of Alf Svensson for At the Gates The Red in the Sky is Ours. The fact that these integral arrangements are unmatched in death metal to this very day is a testament to how little understood they are. The fact that the drumming here twists, bends, propulses, stops, counterpoints in a great variety of different drum patterns that while theoretically rudimentary are often technically demanding, especially when performed as a whole, indicate that a sense of continuity in expression must be kept by the drummer through changes of tempo, time signature and character. What makes this superior to other progressive-oriented albums is that for all this variety, the style of expression is tightly restricted. The reduced repertoire of guitar and drum techniques to the minimal from which it builds its complexity in a language of its own endows it with this distinct personality. Without the guidance of the architect Svensson, though, this band completely floundered in mediocrity soon after his departure. Today, few bands grasp the importance of the integrated drums let alone being actually capable of translating the concept to a concrete plan and then puting it into practice. 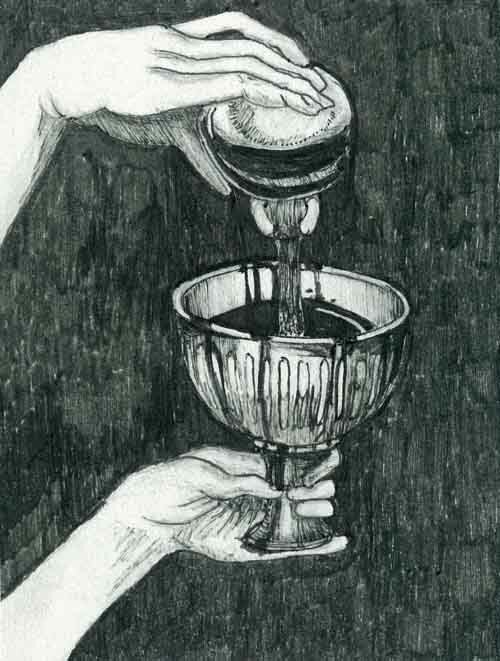 As far as I have seen, with very particular exceptions, the most sober drumming comes from the modern tradition that has branched from (old, the only real) black metal. First of all, it may come to those learning it by virtue of studying the past, this makes the grasping of a concept much easier. This does not include the nu-black or post-black camps which represent a departure, regression and deconstruction of metal, a reflection of decadence. It is rather in the work of Abyssum’s Akherra that we see the role of drums as an essential part of the music. For this, the rest of the instruments must accomodate the drums, not only run on top of it. The naive layering of instruments most bands are used to is precisely what makes them amateurs in this. In proper metal, the drums are inside, not under the music. This is part of what the metaphor “drumming in counterpoint” reflects. Drum patterns that are relatively independent in the sense that they aren’t just there as a support, but come into contact at every moment with the music, bending, yielding and transforming along with the rest of the music. Such attention to detail goes far beyond just playing slower or faster, stronger or softer when the rest of the music does so. It is not only a matter of intensity or speed in correspondence. The drums must live in symbiosis with the guitars, and not like a running pair of athletes besides each other. Silences and types of drum patterns specifically tailored to different sections are exemplified in Abyssum’s “The Illusion of Pan” in which we see important decisions taken about the smallest details such as ride strikes in the rhythm of a particular keyboard melody speed, the variations between soft blast beats and other less forward-moving patterns as great inflections and indicators of the song’s pictorial journey that are not as clearly reflected in the rest of the music alone. This entry is not about judging this or that band over another. The point is the study of drums for the future of metal. The recognition of the evolution in the use of drums throughout the genre. Surprisingly, Black Sabbath Master of Reality shows the kind of thinking that would go into Celtic Frost To Mega Therion in terms of the reduction and powerful use of elements into highly-personalized expressions. In this Black Sabbath showed how far ahead of their times they were. It took metal more than a decade to catch up to them. These musical transpirations in their music were refined through the black metal tradition going through death metal. The best we can hope for is bands today piecing out elements in this way, and being able to identifying what great drumming consists of in metal. But this must start out from the vision of metal as a proper music, as highly-integrated elements which conspire within an indissolubly dependent complex set of relations. Playing a style of black metal that became more prominent and perhaps common after the turn of the century, S.V.E.S.T.’s “atmospheric” approach is of the sort that creates a fog out of different layers of intsruments playing different notes to form dissonant chords and having the drums by a vehicle for intensity. Although black metal per se has inclinations towards minimalism and ambience, this explicit brand of atmospheric black metal stretches song durations as long as it is necessary to induce the sense of evaporating time and alienating experience they are looking for. While many different bands can claim to be part of this, very few retained an anchor in reality and still building something meaningful. S.V.E.S.T. Urfaust is such an album. 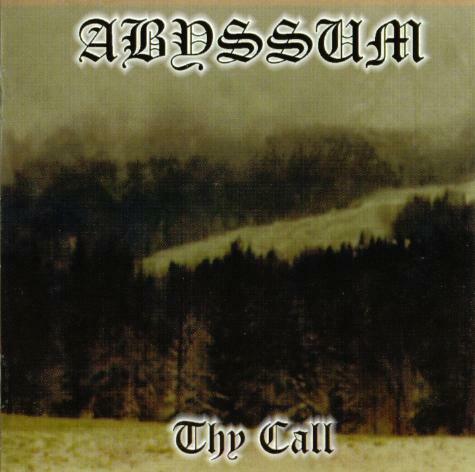 The brainchild of Rex Ebvleb, Abyssum started out as a black metal project in the mid-nineties, resulting in a few demos and finally its sum in Thy Call, 1998. After a little time, the band simply was no more, with Ebvleb carrying on the torch on his own and in a reserved way. 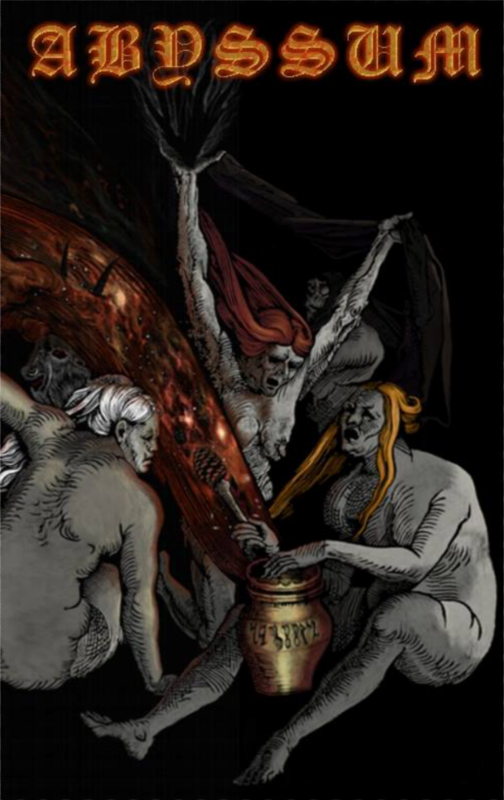 Disgusted by the scene that formed in the name of black metal, Ebvleb took Abyssum away, neglecting even to be openly recognized by the tag. Tags being what they are and changing in meaning as history advances for all but the most stout scholars of any given discipline, are put aside by the independent thinkers and outstanding individuals that an inverted society can never recognize. 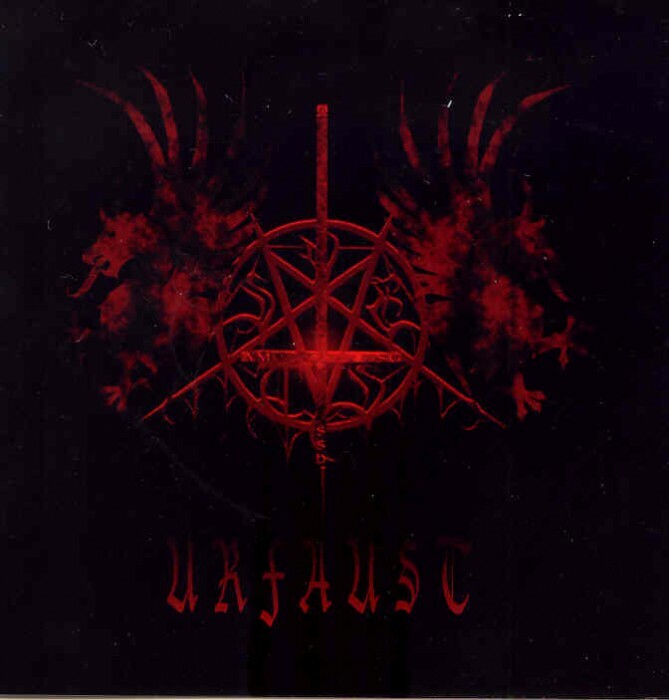 This reborn Abyssum that distances itself from what the crowds of what is now called “black metal” maintains the truly black essence of the genre that goes beyond speech and pretending, and which, as Sammath’s Kruitwagen, Antaeus’ MkM and other underground artists have pointed out in the past, is a way of life and a mindset — not just a music style. When we say that metal’s golden era peaked in 1994 and that everything went downhill, it does not mean that there was nothing good after that. By definition, quality after a peak must go downhill in comparison. More importantly, when we say such things, we are referring to a genre-wide average, not to specifics. After all, we have Summoning releasing their classic of classics in 1996 and more great music before and around the turn of the century. The same is true of several black metal bands and a very few death metal ones. In Central America, ever one (or ten or twenty) steps behind in everything as a result of traceable historical processes, what little its reduced population, resources and culture allowed for metal to develop flourished between 1995 and 2000.